Faithful readers of this space know I have not been shy about disagreeing with Gov. 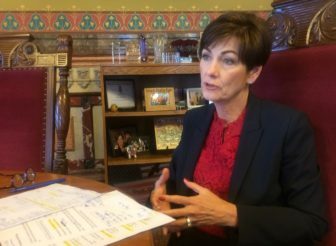 Kim Reynolds’ positions on a variety of issues. But I am here today not to criticize our governor but to praise her — for her courage that is both political and personal. Politically, Reynolds risks offending some of her staunch supporters with the proposal she made last month to amend the Iowa Constitution to automatically reinstate felons’ right to vote after they finish their prison terms and complete parole or probation. There is political risk for Reynolds because her mentor, Terry Branstad, the longest-serving governor in Iowa history, issued an executive order in 2011 that ended automatic restoration of voting rights for felons. Branstad barely finished his oath of office before signing the order, which rescinded an executive order Gov. Tom Vilsack, a Democrat, issued in 2005 to restore felons’ voting rights after they finished their sentences. 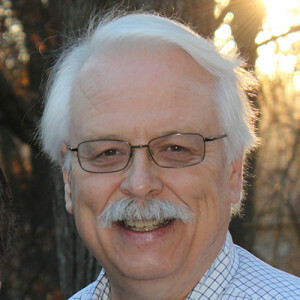 Branstad’s decision was praised by many in the Republican Party. Reynolds was there with him when he signed the order, and she heard the praise Republicans had for Branstad on this issue. In the modern-day version of politics, you rarely see a government leader reverse course on an issue in which there are long-held opinions. While some might see the position change as a sign of weakness, I think it is a tribute to an official’s willingness to consider opinions that go against past practices. But there is more than just politics behind Reynolds’ support for this constitutional amendment. There is the personal courage she is showing. Reynolds has not avoided being frank with Iowans about the toll alcohol took on her and her family two decades ago as she and her husband, Kevin, were raising their three daughters. She was arrested in 1999 and again in 2000 and charged with driving while intoxicated. Reynolds went through in-patient alcoholism treatment. Today, she has been sober for 19 years. Whether you agree with her political views or not, that’s an achievement all Iowans should applaud. It cannot be easy to talk in public about those legal problems or her battle against alcoholism. But Reynolds uses those embarrassing blots in her past to draw a connection with the people who would be directly affected by the proposed constitutional amendment. She talks about the second chance she received from her friends, neighbors and coworkers in Clarke County to get her life back in order after she ran afoul of the law. She said convicted felons who complete their sentences would benefit from receiving the second chance the constitutional amendment would provide. Iowa is one of only two states (Kentucky is the other) where convicted felons still permanently lose their right to vote unless the governor intervenes and restores that person’s rights. That’s a distinction Iowa should not celebrate, because prohibiting felons from voting does not make our state safer. 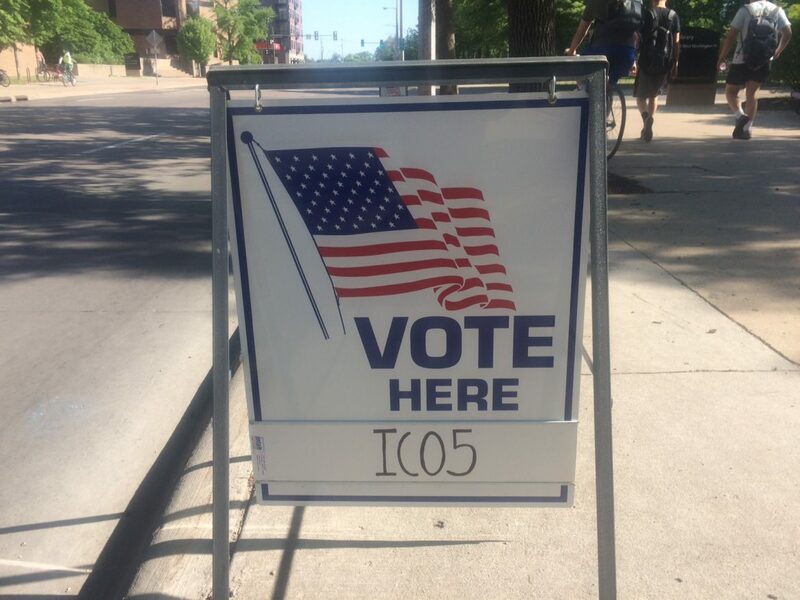 There are an estimated 52,000 Iowa felons who would regain the right to vote if the Legislature, and Iowa voters, ultimately approve Reynolds’ proposed amendment. And with an amendment to the Constitution in place, a future governor will not be able to sign an executive order and undo the restoration of felons’ right to vote. But the amendment will not make it through the Legislature without Iowans telling their state senators and representatives how they feel on this issue. Some Republican lawmakers have said they would not support the amendment without a requirement that felons must pay the court-ordered restitution to their victims before they could vote again. That restitution requirement troubles Reynolds — and it should trouble all of us. Republican and Democratic politicians across the country, including Iowa, are deeply divided over restoring the right to vote to felons, a political fracture that affects millions of convicted criminals.